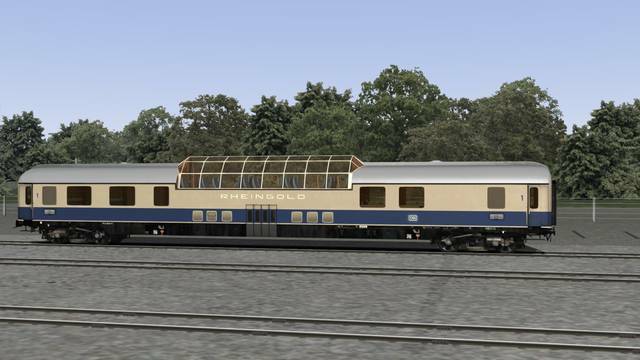 It was the German equivalent to the famous Orient Express - the exquisite Rheingold. 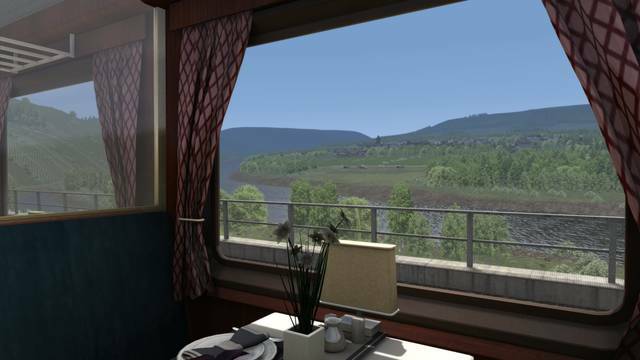 The German Reichsbahn introduced this luxury train as early as 1928, promising its illustrious passengers the utmost comfort and leaving nothing to be desired. 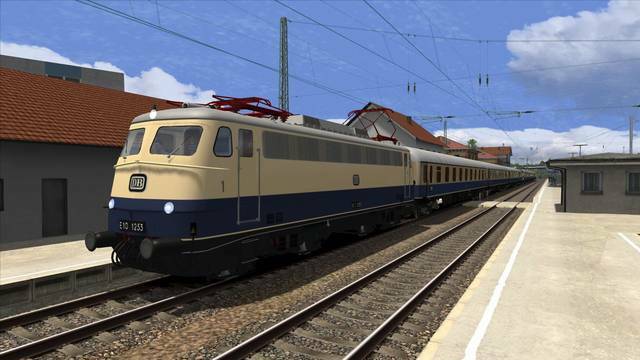 Starting its journey in Hoek van Holland, it passed through the Rheintal before reaching its destination in Switzerland. 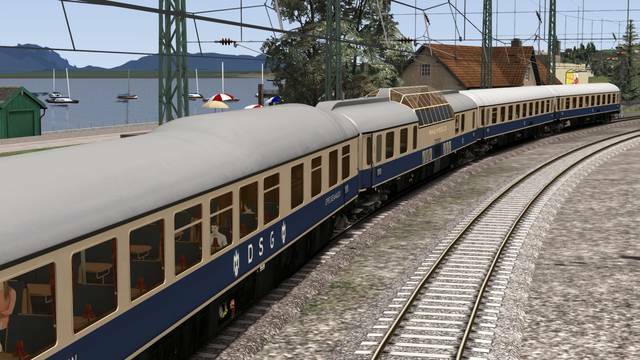 In 1960 the Deutsche Bundesbahn eventually commissioned new rolling stock for the traditional Rheingold. 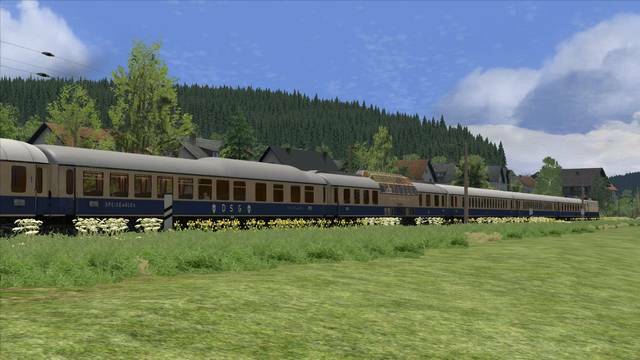 Just as with its pre-war predecessor, the new train was designed to beat all others in comfort and style and to allow a cruising speed of up to 160 km/h. 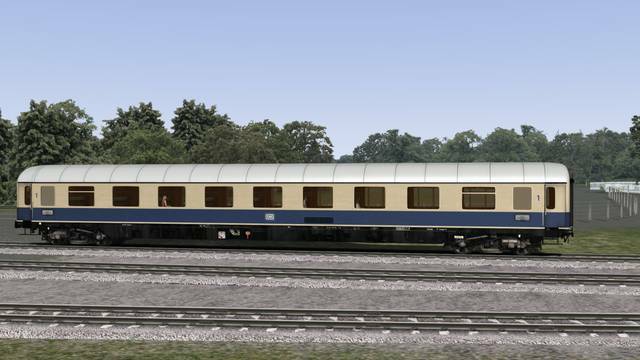 With effect from the summer timetable in 1962, this unparalleled train featuring a unique dome car along with compartment and high-capacity coaches finally started service. 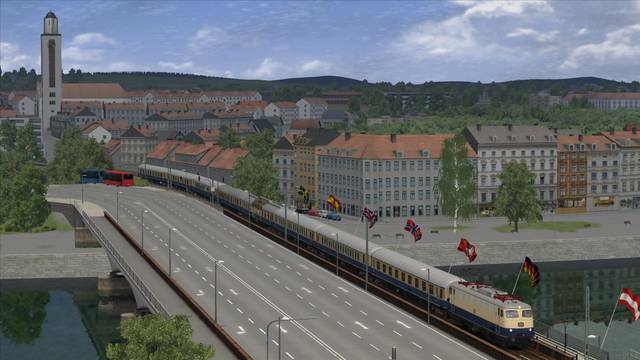 Today it is rated among the best-known coaches ever. 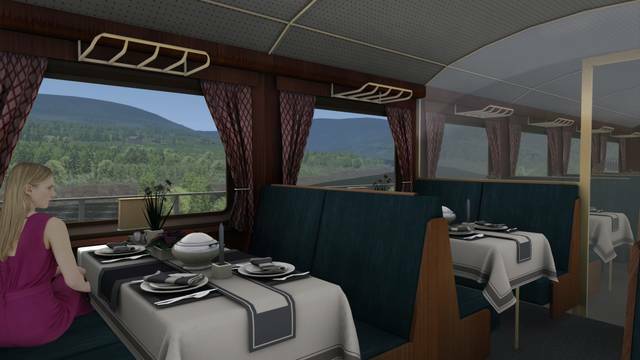 A further impressive innovation was the dining coach, a so-called 'Buckel dining car' - which featured a two-storey kitchen. 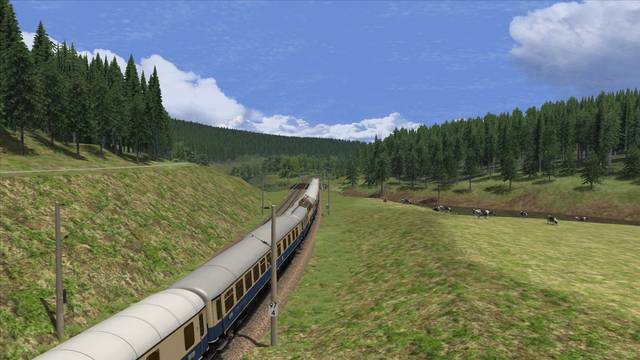 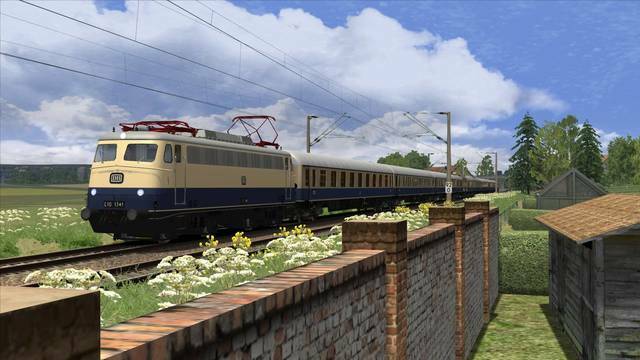 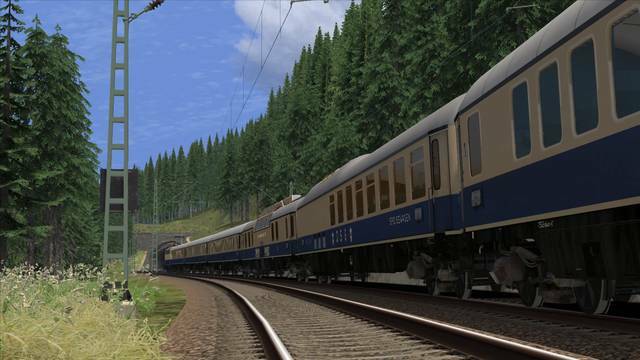 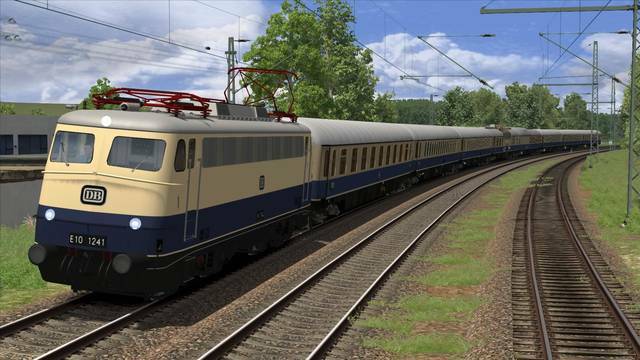 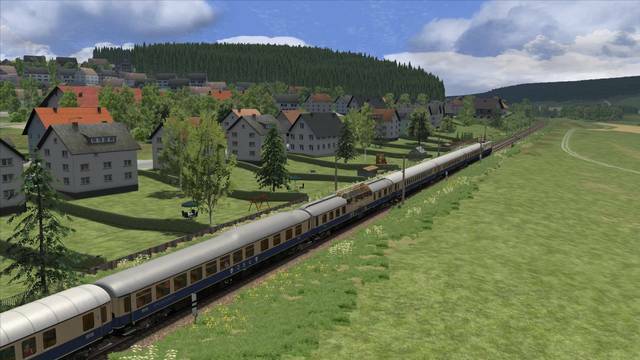 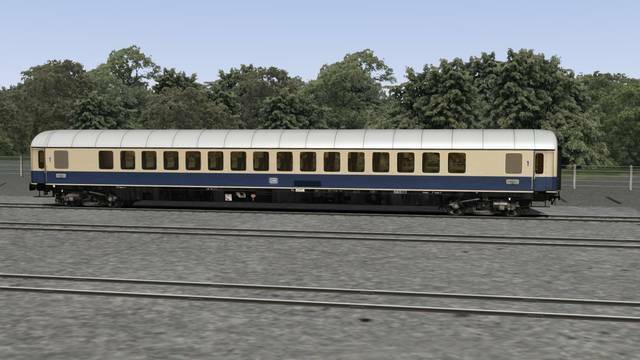 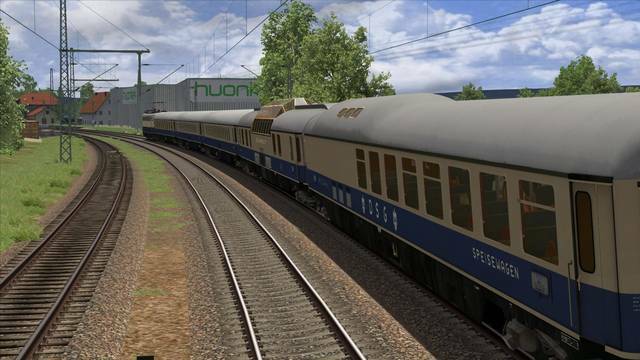 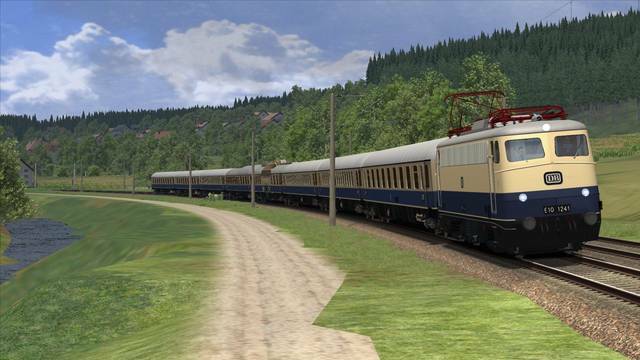 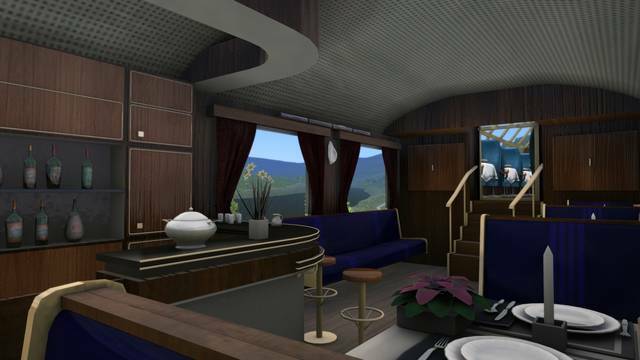 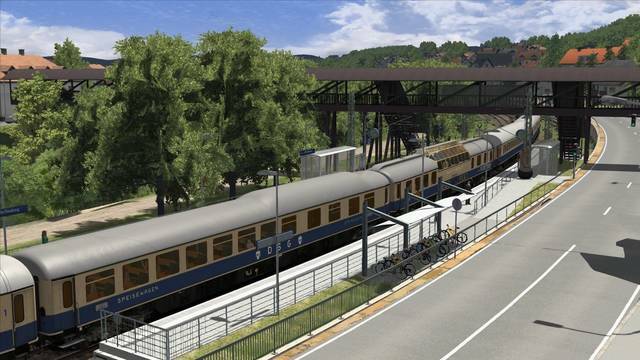 Our greatest desire was to realise this exceptional luxury train appropriately in Train Simulator and so, as in the Orient Express, we once again went out of our way! 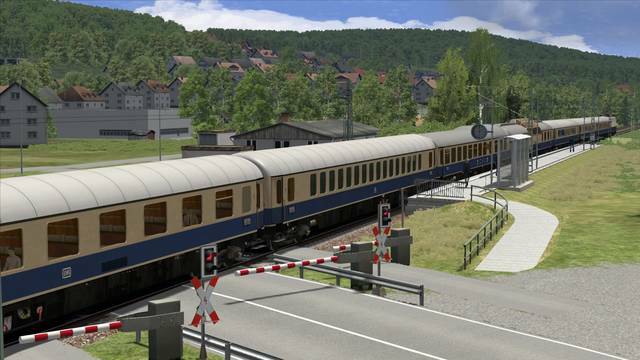 The countless materials and details used let the train appear extremely realistically. 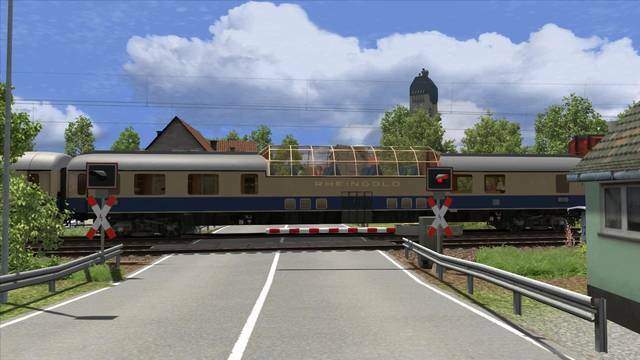 Apart from the four blue Rheingold-Cars provided, two further cars welcome you aboard. 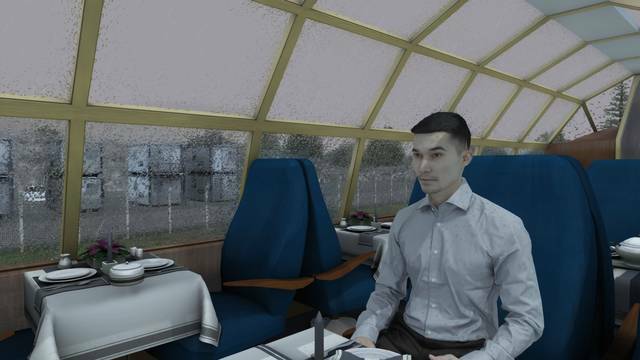 Unprecedented effort has been put into the interior of the dome car as well as the dining car. 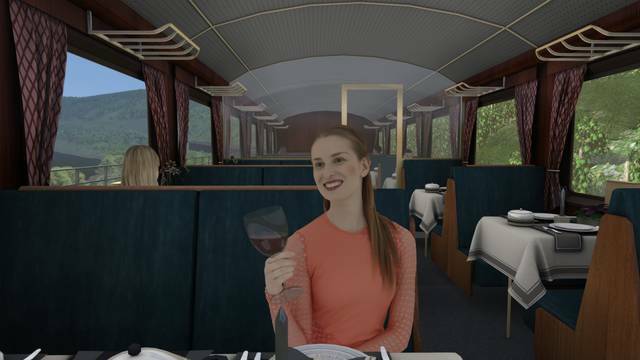 Whether you are heading for the bar, the restaurant or for the dome, all these areas have been realised with great attention to detail, even in the table decorations such as the coffee pots, plate inscriptions and flowers. 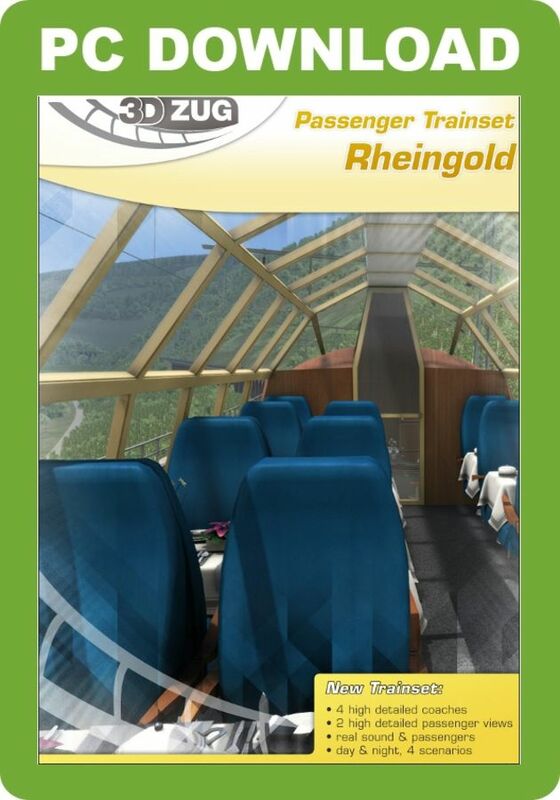 And perhaps you will even find the miniature Rheingold on your exploration tour? 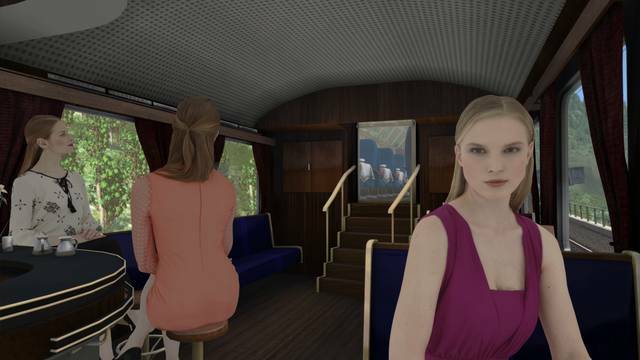 If not, one of the highly realistic passengers will be happy to help. 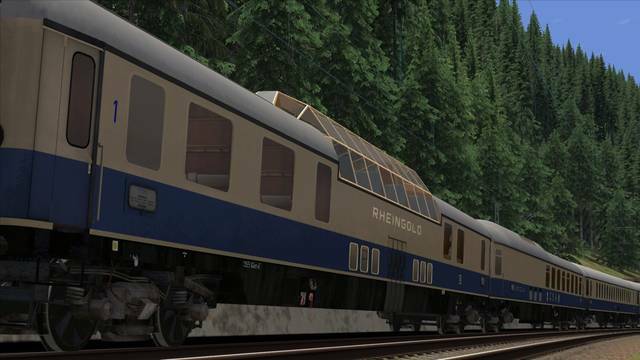 They are your constant companions whilst you travel on the Rheingold. 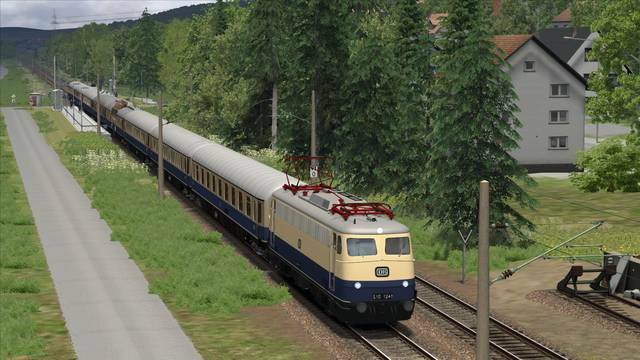 Realistic sound, animated brakes, connected coupling, tubes and steam heating as well as various versions complement this add-on, and in order to let you get started right away, we have included four tasks. 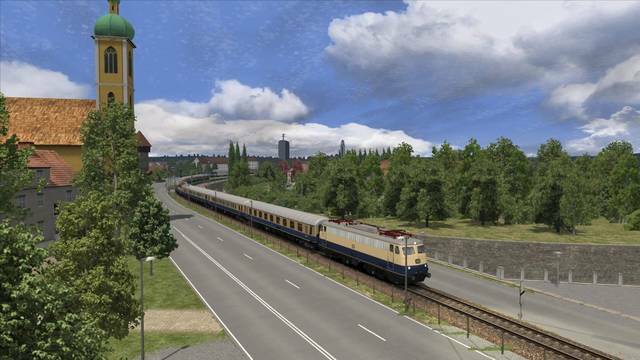 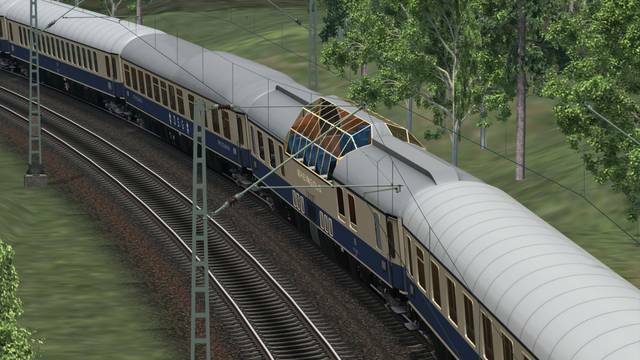 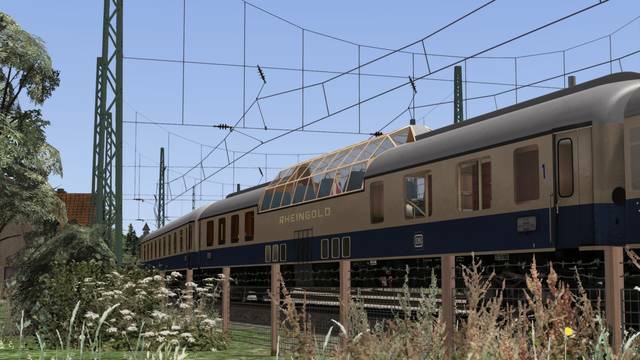 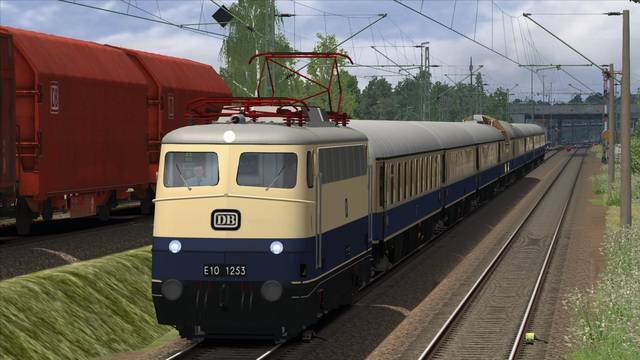 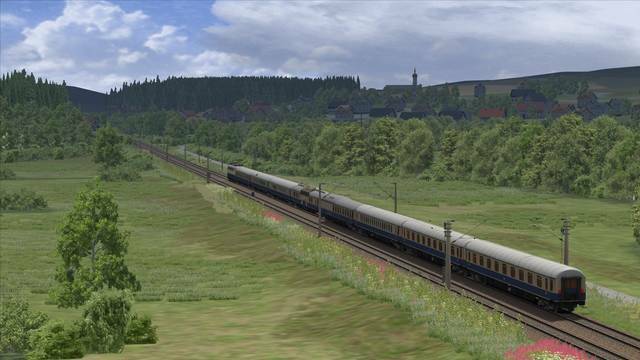 Note: The scenarios require the West Rhine: Köln - Koblenz Route Add-On and the Mosel Valley: Koblenz - Trier Route Add-On (available from Steam) to run correctly. 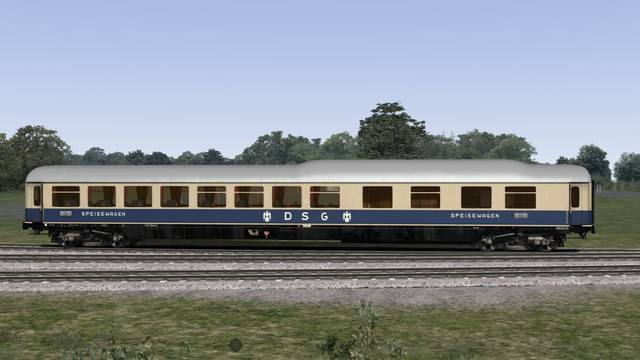 These luxury Rheingold coaches are recreated to an amazing level of detail - even down to the table decorations, plate inscriptions and flowers. 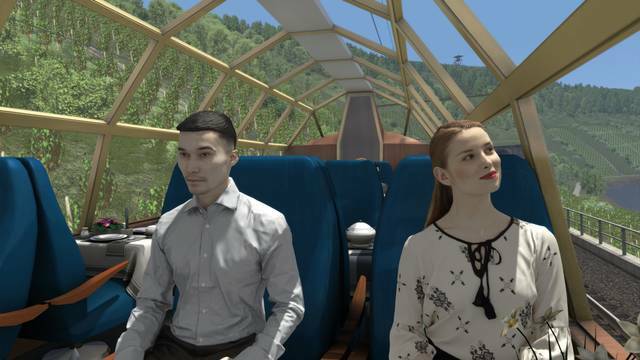 Extremely realistic optional passengers are also included and different levels of detail can be set to the user's preference. 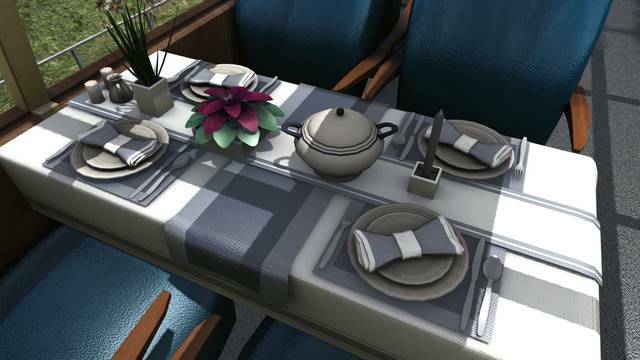 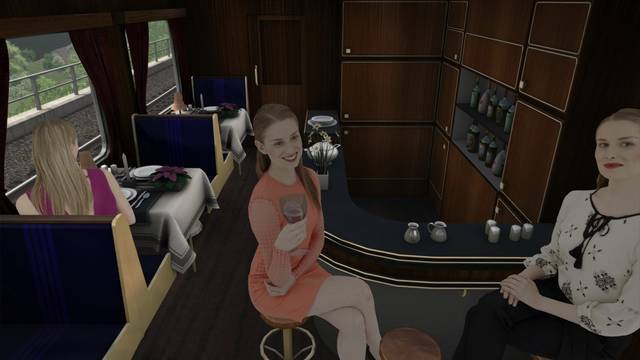 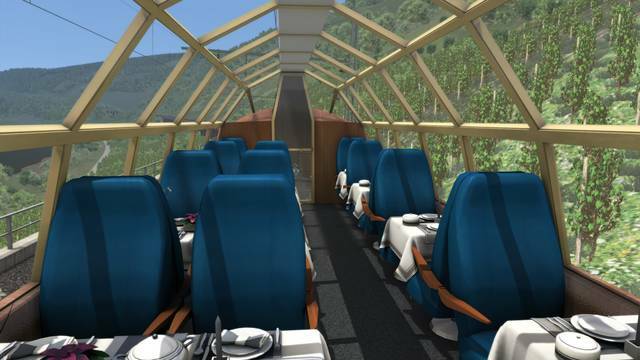 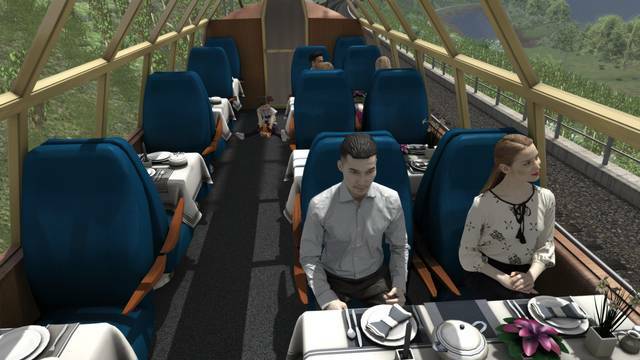 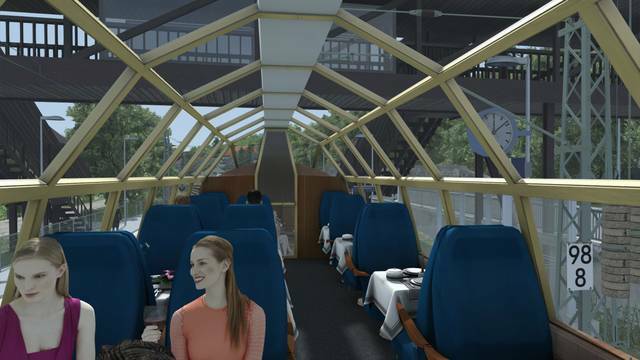 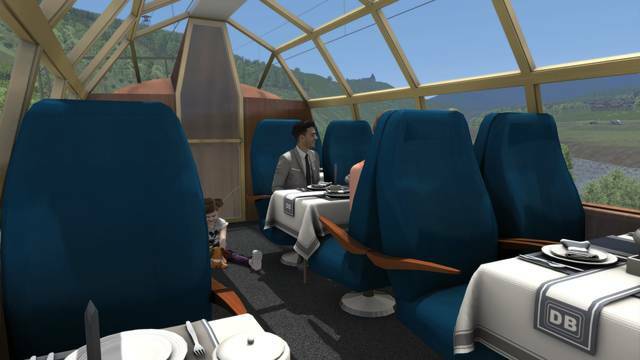 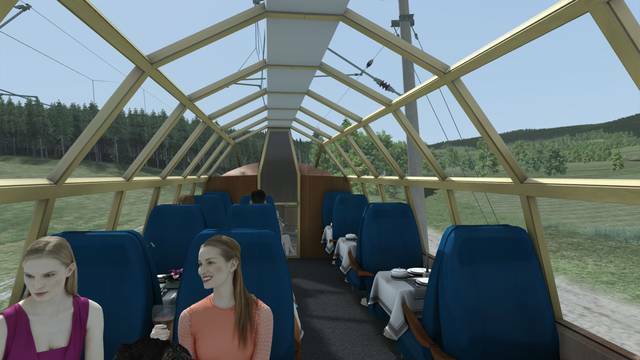 Different views allow a virtual 'inspection' of the dome and dining cars, including both storeys of the dome car, and this collection also features animated brakes, connected coupling including steam heating, four sessions and day and night versions.